We care about the Environment. It is a key driver for our business and we are absolutely committed to fulfilling our green obligations . What’s more, we can help you fulfill yours too. 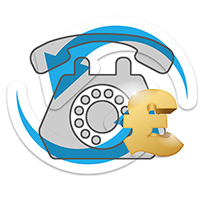 As well as paying you the best possible amount for your unwanted Telephone System & Handsets, we can also help you reduce your impact on the environment. So while we aim to re-manufacture as much of the equipment that we purchase as we can, there may be some we cannot reuse. Where this is the case, we are committed to recycling all remaining materials. The new Waste Electric and Electronic Equipment (WEEE) Regulations of 1st January 2014 lay out clear requirements for the recovery, reuse, and recycling of certain products which we adhere to 100%. Obsolete Telephony equipment can contain plastic, glass, and metal that can often be cleverly regenerated into useful products. These items can also contain hazardous material that could pose environmental and health risks necessitating careful disposal. As dedicated Recyclers and as a registered Waste Carrier with the Environment Agency, we give you the confidence that we will be dealing with any obsolete equipment in the most environmentally friendly way, aid you in achieving your company goals on green activity and help you to comply with Environmental Legislation. Please call us now on 0333 222 6636 if you would like to understand more about our Recycling process.